I recently asked myself, “If I could have the mayor of Chicago’s ear for just one moment and let her know what I’d like her to do, what would I tell her?” I have shared three ideas from two areas that really interest me as Mayor-elect Lori Lightfoot prepares to take office. A cursory review of the makeup of a representative sampling of the city’s and sister agency’s boards and commissions reveal that the overwhelming majority of the members are “the usual suspects” from well-connected corporations, local businesses and nonprofit organizations. Fewer than 5% of the members are African Americans from Chicago’s West Side. This, in spite of the fact that many of these boards have a profound impact on the quality of life for African Americans from the West Side. The Chicago Board of Education is but one of many glaring examples. I would ask Mayor-elect Lightfoot to conduct a thorough analysis of the composition of each of the boards and commissions for Chicago and its sister agencies to ensure that the representation not only includes more African Americans from Chicago’s West Side, but is more reflective of Chicago’s population in terms of racial and socio-economic background and geography. The process for staffing these boards and commissions should be open, with opportunities for rank-and-file citizens to apply. Tax-increment financing districts (TIFs) were created to jump start development in areas that but for government intervention through the TIF no development would occur. Mayor Emanuel, like his predecessor, Mayor Richard M. Daley, has a penchant for making TIFs work in areas that don’t need TIFs to attract development. Daley was famous for using TIF funds for LaSalle Street and was preparing to use TIF funds to support development for the 2016 Olympic Games had they been held in Chicago. Not to be outdone, Rahm Emanuel has created TIFs for an athletic field in Douglas Park and is currently pushing through a $1.3 billion TIF in Lincoln Yards. This is about $1 billion more than all of North Lawndale’s TIFs combined. It should be noted that essentially all of North Lawndale’s land mass is in a TIF. I wrote a report for the Lawndale Alliance in 2010 examining the combined impact of every TIF that had some land mass in the North Lawndale community, with recommendations as to how the program could be improved. In our TIF advocacy we found that although the North Lawndale TIFs are primarily financed by low-moderate income residents and stakeholders, only about 3% of the contracts and other financial benefits of the TIFs actually went to North Lawndale residents. There were no hard data on the number of jobs created, if any, for North Lawndale residents. I would ask Mayor-elect Lightfoot to conduct a thorough examination of the TIF program to ensure the program returns to its original purpose of jump starting communities that would not recover but for government intervention. I would also ask her to introduce ordinances that would create local TIF advisory councils and community preservation councils to work with elected officials and the Chicago Department of Planning and Development to ensure that TIF funds are used in a manner to optimize opportunities for local residents and to develop comprehensive land use and economic development plans and guide implementation. I shared my ideas, and I’d be very interested in hearing from you. If you could ask Mayor-elect Lightfoot to grant you three wishes, what would they be? 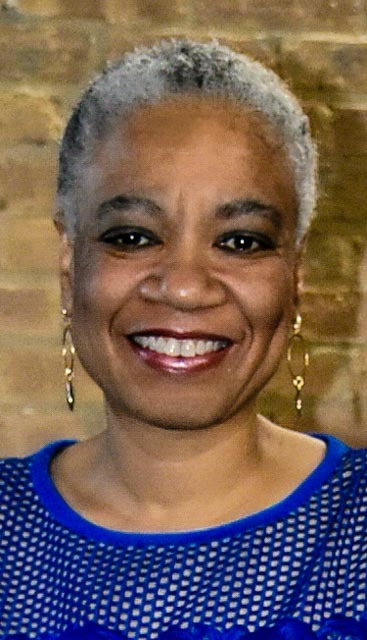 Valerie F. Leonard is the founder of Nonprofit Utopia LLC. Voters will be choosing Chicago's next mayor today and a new treasurer, too. Polls will be open until 7 p.m.
State Rep. La Shawn Ford calls for Gov.-elect Rauner to included.